A 1937 single-engined biplane fighter development of the Ar 68 intended for use on aircraft carriers. 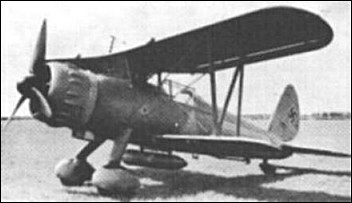 The Ar 197 was fitted with fixed landing gear and fittings of catapult-launch. The first prototype had a DB 600 engine, the two others had a BMW 132 radial. There was no production.